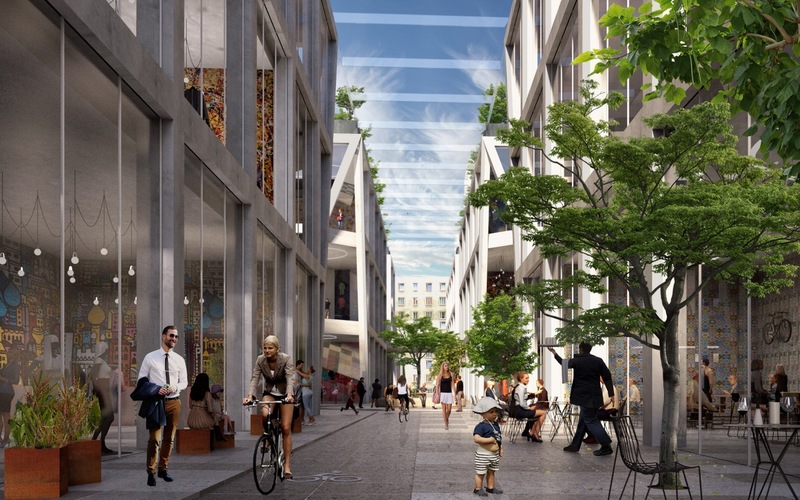 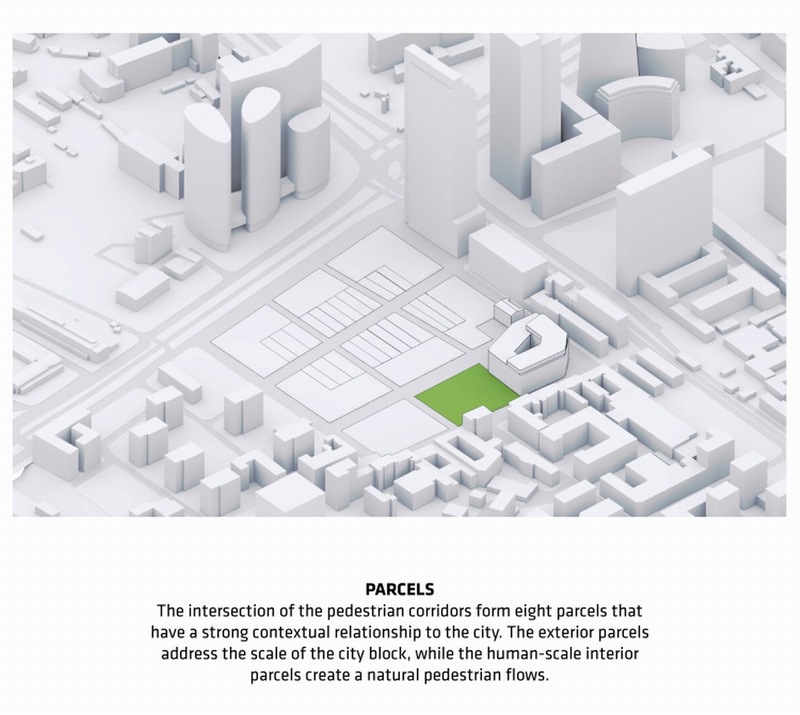 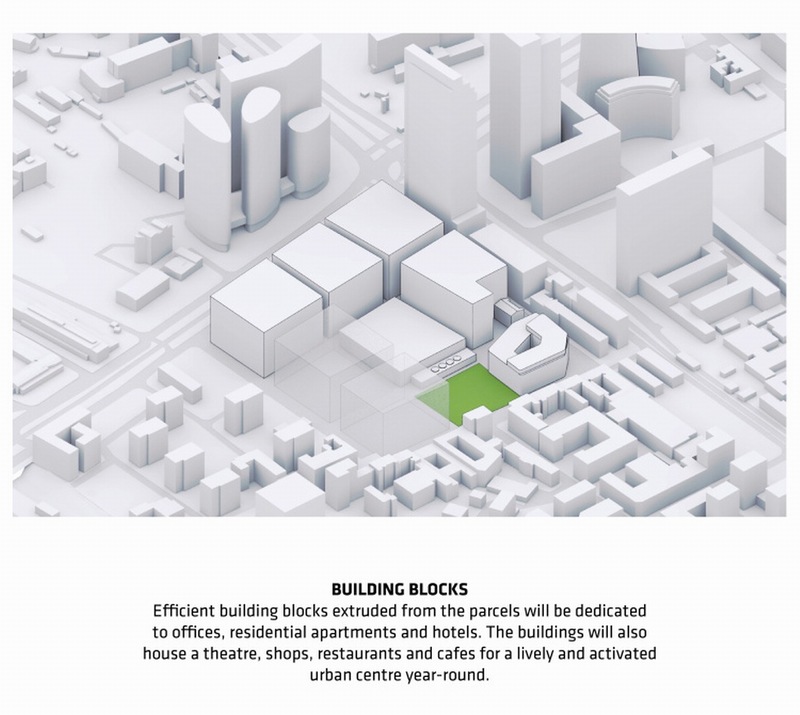 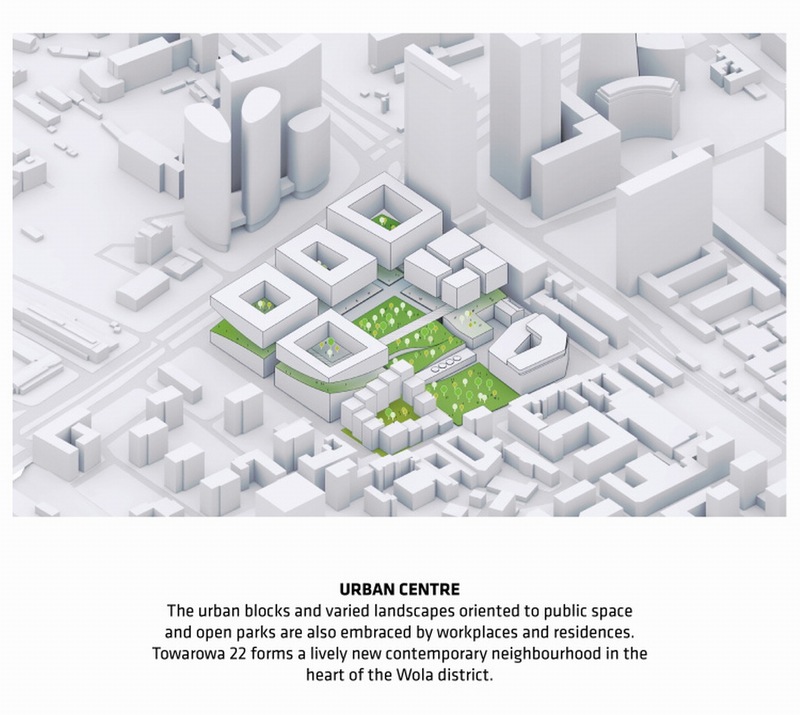 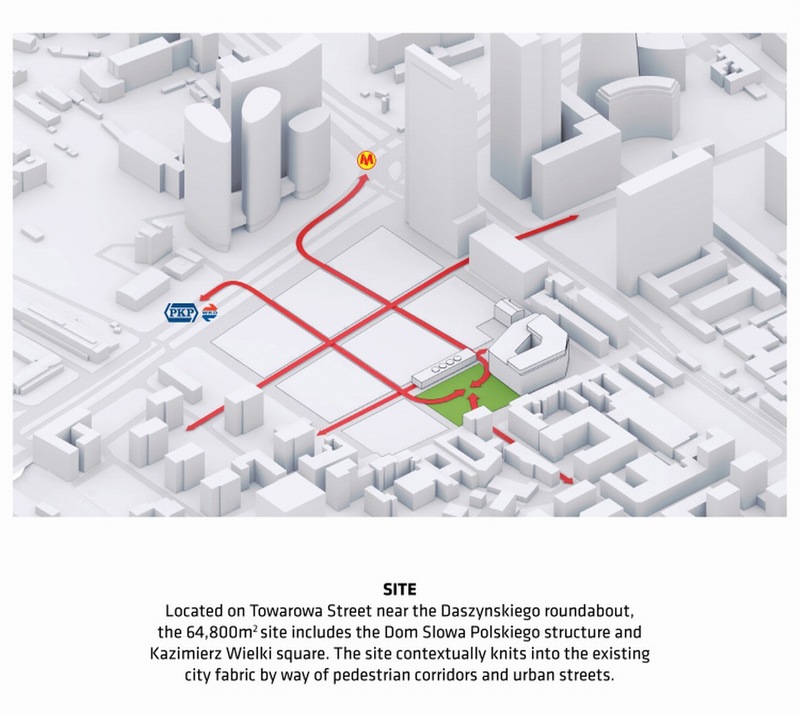 With Towarowa 22, we propose bringing back the walkable streets of historic Warsaw where excitement and energy is generated by publicly-oriented shops, cafes and a park at the heart of the Wola district. 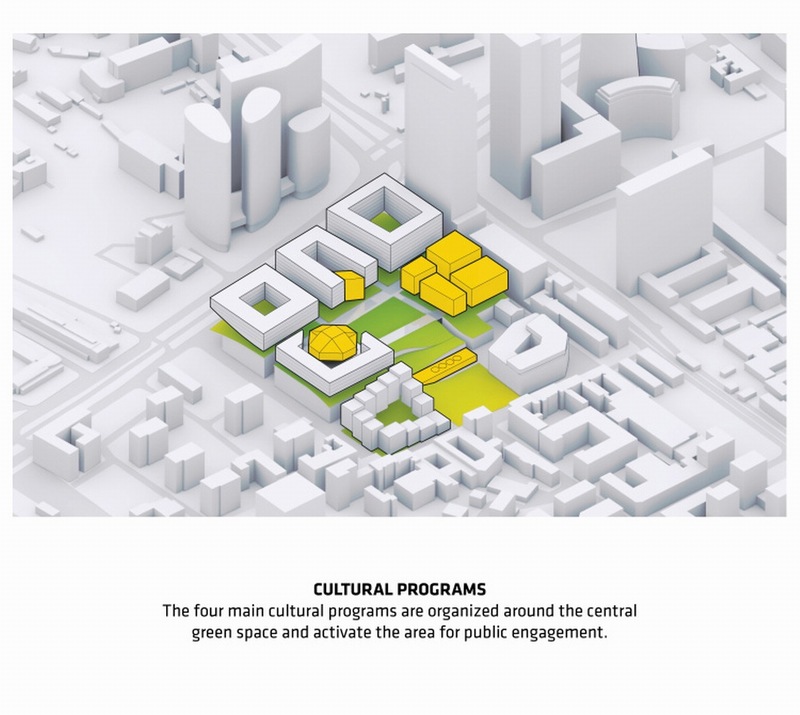 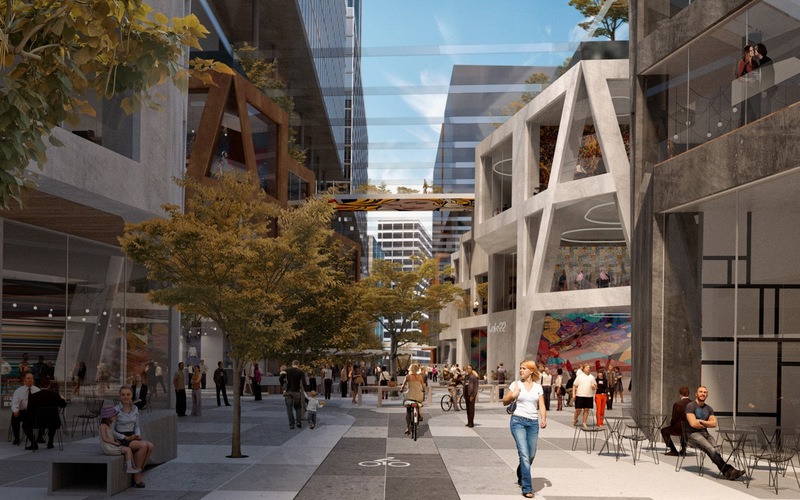 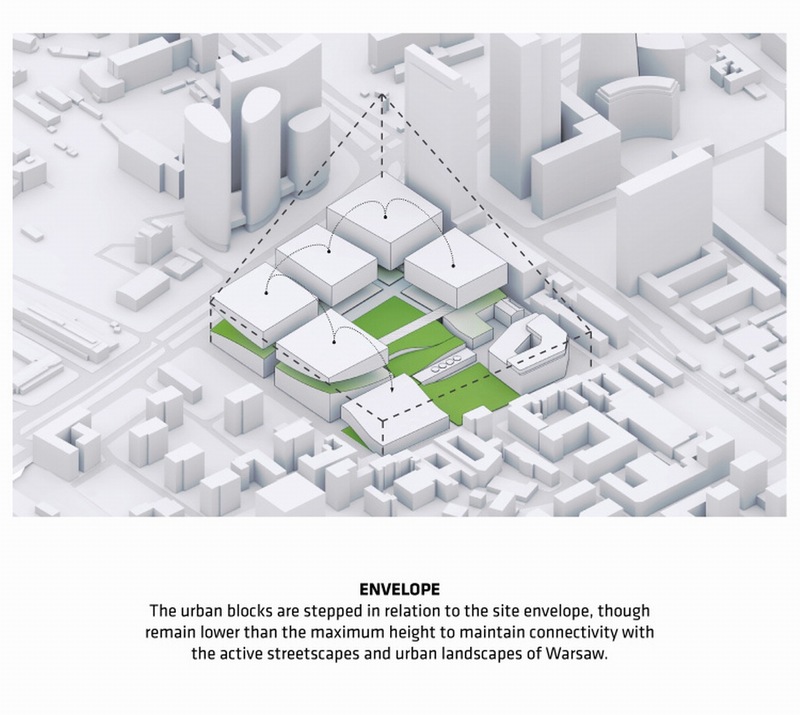 The masterplan aims to introduce cultural infrastructure as destinations worth visiting, build a critical density of homes and workplaces to cultivate a residential community, and form a lively, 24/7 year-round neighborhood enjoyed by residents and visitors. 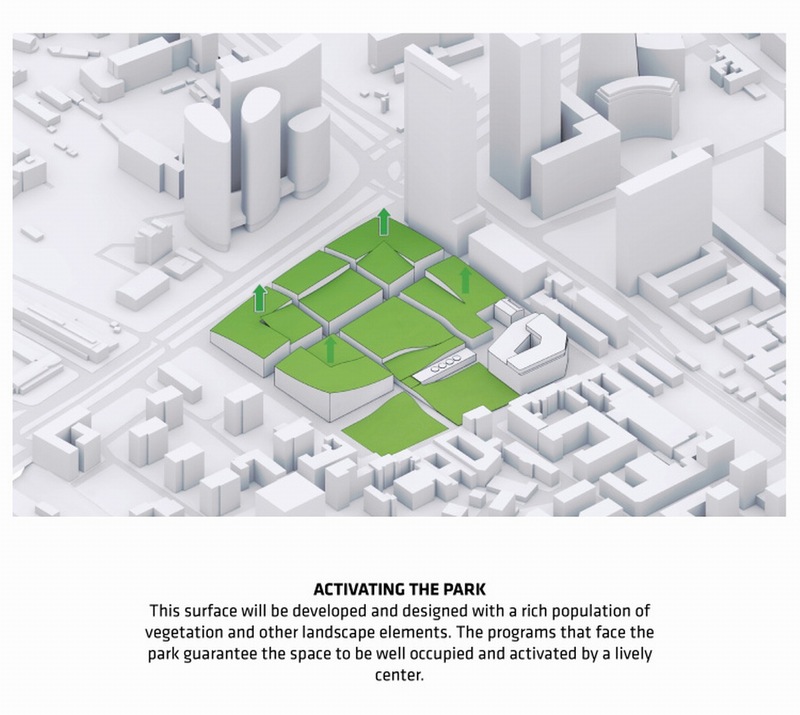 At the same time, the heart of the Towarowa 22 proposal is conceived as a park. 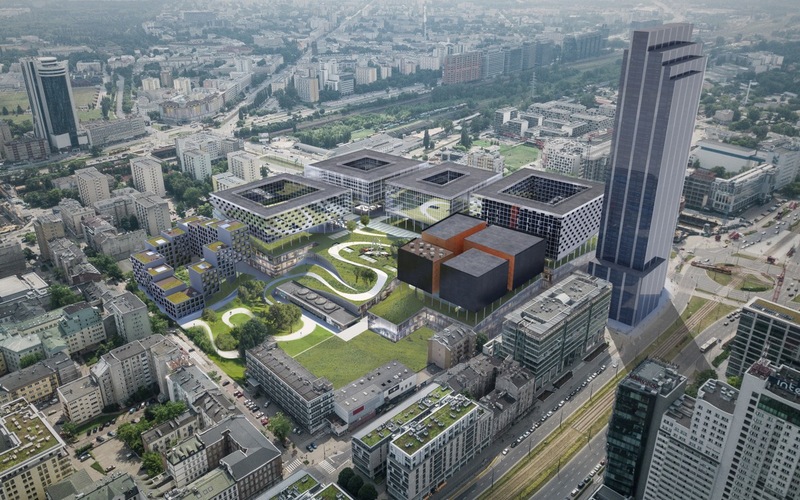 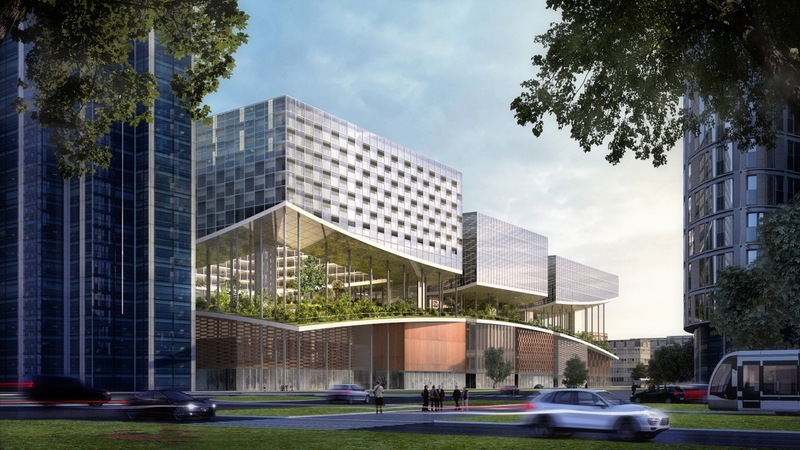 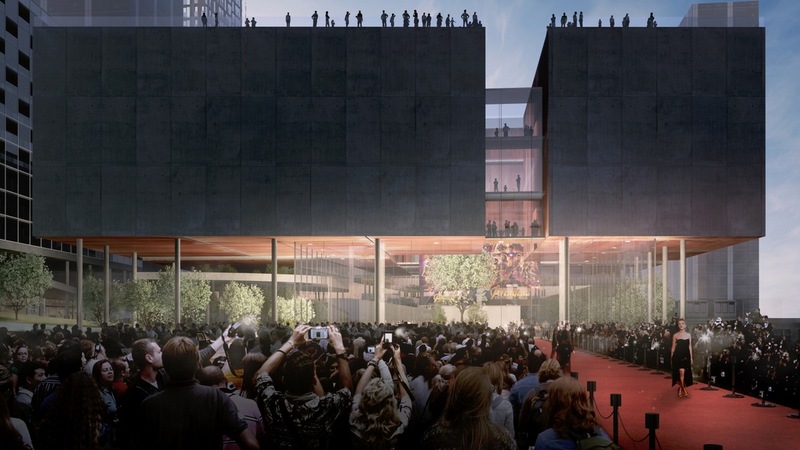 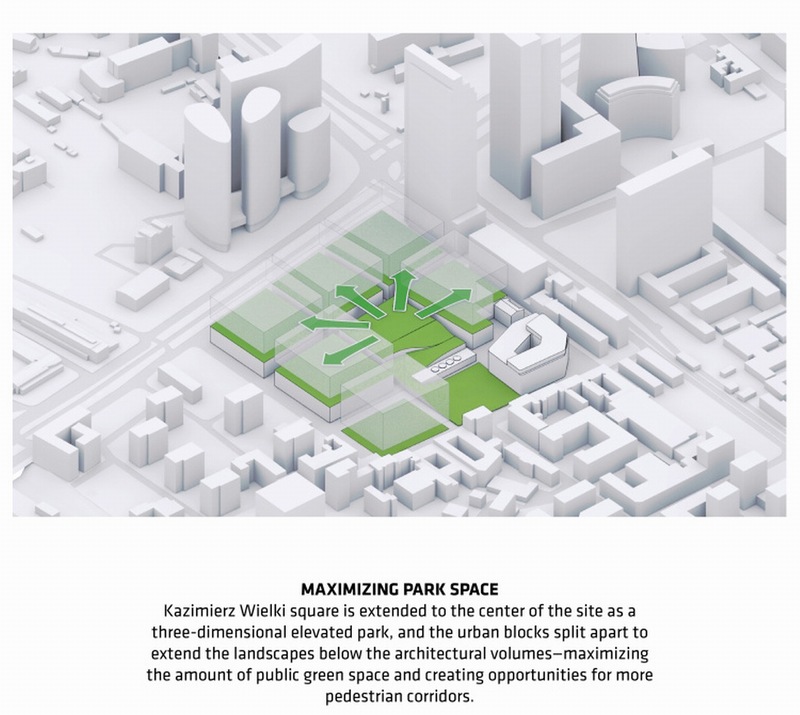 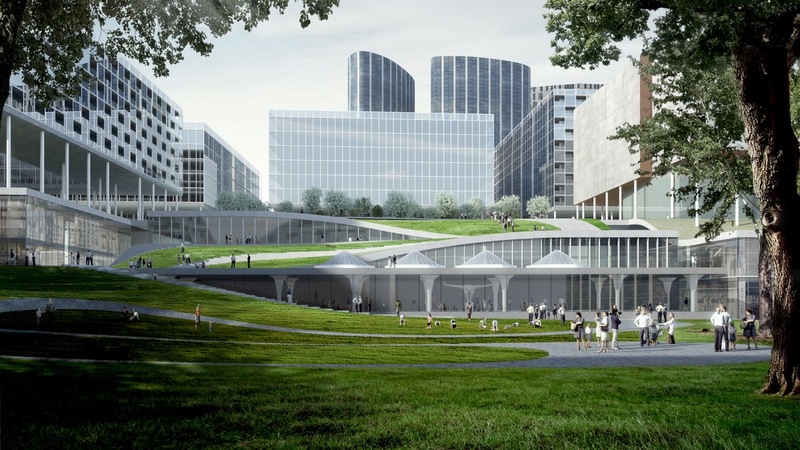 In order to accommodate the area and to honor the historic Dom Slowa Polskiego building, the site is elevated to create an archipelago of interconnected gardens and public spaces that are given purpose and life by the surrounding programs for living, working, shopping and playing.